Extraordinary soft, light weight, 100% Polish goose down and light, thin and smooth linen cover guarantee exceptional comfort whenever you use this cushion. 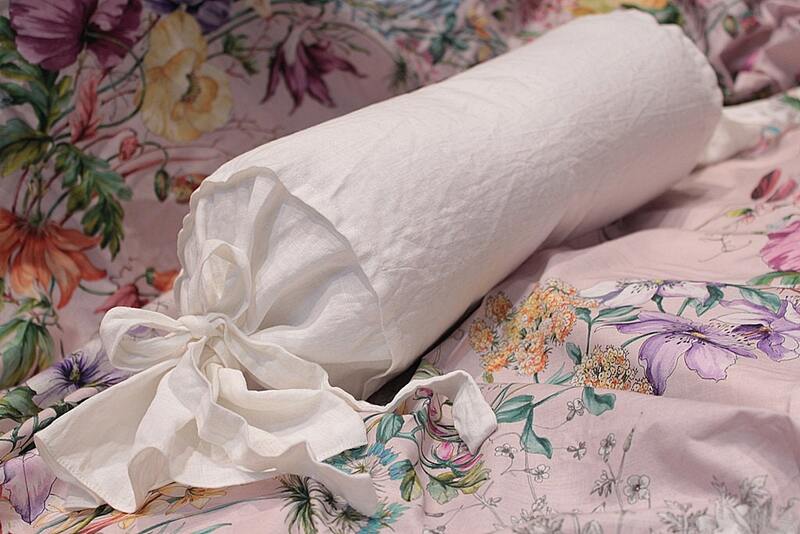 It's perfect as add pillow to helping you asleep as well useful for car and plane travelings. It's small, very light and you need only 20 min to dry the cover after wash!! A pillowcase made of particularly soft, high quality Lithuanian linen (160g) in light white or natural grey color, which is very light, smooth and lovely to the touch. It is provided with a 100% exceptional, highest quality Polish goose down, exterior made with extremely soft, noble cotton. Pure linen is recommended for infants, children, people suffering from allergies and those who value sleeping well, healthily and in comfort. 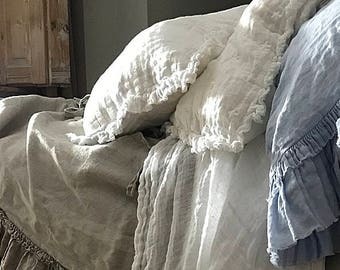 Matched with other products from our linen collection it will create a romantic ambience in your bedroom and will also make a fabulous gift. Description: soft white, dust rose, light purple, dark blue, black or natural grey Linen; 2 fastening linen ties. *Due to its unusual size, the cushion is being sold together with the insert, which is made to fit the size of the cushion.